Well well well, another post this week. The thing is I’m bored with all this gray weather so, instead of following my guts into hibernation again, I decided to fight dready weather with colour. This post has not been sponsored by Essence (I would have no problem in saying so, that’s why I have a whole “sponsor” category in this blog! And ehy, if Essence would like me to write other posts they just have to tell me :D) it just happened that this time I used all Essence products. 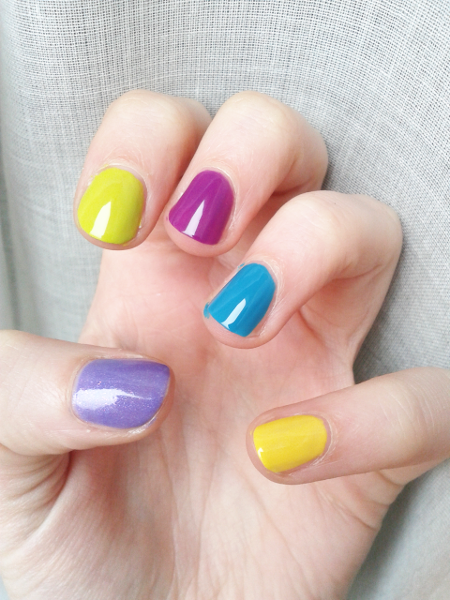 Happenstance helped by the fact that I like the quality and most of all the price of these polishes. 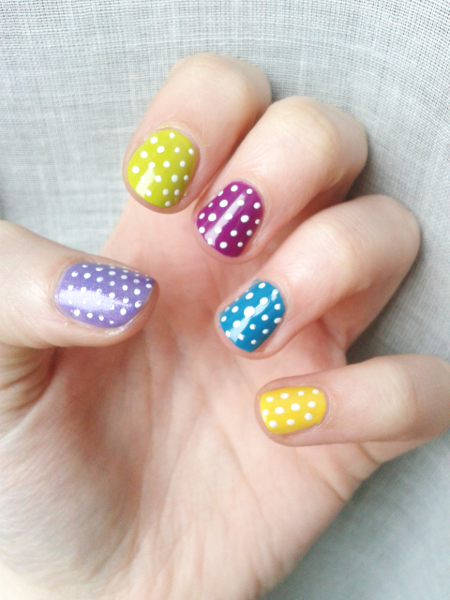 with some patience and the dotting tool dot your nails. I started with way too small dots on the thumb, I went for a more “cartoonish” look on the other fingers. You can call it done and just go over with a transparent topcoat, I used a matte-ifying one. 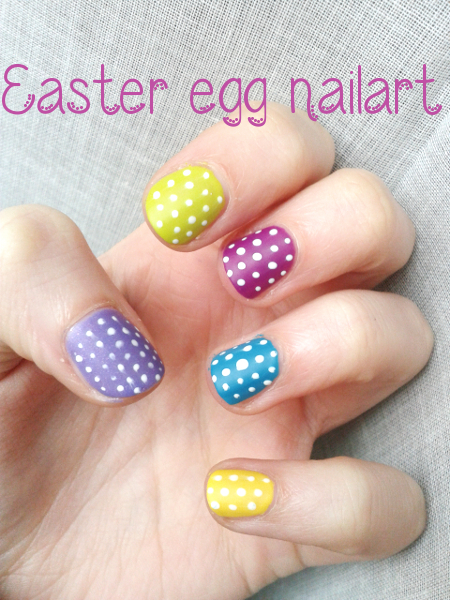 I decided to dot my nails all the same way to give them uniformity, something in common, and the matte effect to “tone it down” a little, and also because oval nails, colours, white dots, matte, I couldn’t but think Easter eggs! Ciao! Sono bellissime! Mi è venuta subito voglia di farle, ma non ho smalti color pastello perché sono abituata a mettere colori scuri… Sigh! Baci! Bellissimo! Tante piccole amanite muscarie!